All these items are new in its original box packing. If you are interested in buying further we can discuss the commercial terms (Contact US). 35 6ED1052-1HB00-0BA8 LOGO! 24RCE,LOGICMODULE,DISPLAY PU/I/O: 24V AC/24V DC/RELAY, 8 DI/4 DO; MEM. 39 6ED1055-1FB00-0BA2 LOGO! DM8 230R, EXP. MODULE, PU/I/O: 230V/230V/RELAIS, 2TE, 4 DI/4 DO FOR LOGO! 139 6ES7134-4GB01-0AB0 SIMATIC DP, ELECTRONIC MODULE FOR ET 200S, 2 AI STAND. I-2DMU 15 MM WIDE, 4 ..
(EN954-1)/ SIL3 (IEC61508)/PLE (ISO13849), ALSO USEABLE IN PROFINET-NETWORKS W.
DRIVE ES AND SWITCH ES EXTENDED DATA FOR HART SECON- DARY VARIABLES OPERATON W.
MAX. 64 PERIPHERY MODULES, 0.25 MS ISOCHRONOUS MODE MULTI HOT SWAP, INCL. MEMORY, 1. INTERFACE MPI/DP 12MBIT/S, 2. INTERFACE DP-MASTER/SLAVE, 3. U/I/THERMOCOUPLE/RESISTANCE ALERT, DIAGNOSTICS; 1X20PIN REMOVE/INSERT W.
388 6ES7331-7TB00-0AB0 SIMATIC DP, HART ANALOG INPUT SM 331, 2 AI, 0/4 – 20MA HART, UP TO HART REV. 394 6ES7332-5TB00-0AB0 SIMATIC DP, HART ANALOG OUTPUT SM 332, 2AO, 0/4 – 20MA HART, UP TO HART REV. 403 6ES7340-1CH02-0AE0 SIMATIC S7-300, CP 340 COMMUNICATION PROCESSOR WITH RS422/485 INTERFACE INCL. 405 6ES7341-1CH02-0AE0 SIMATIC S7-300, CP341 COMMUNICATION PROCESSOR WITH RS422/485 INTERFACE INCL. 408 6ES7351-1AH02-0AE0 SIMATIC S7-300, FM 351 POSITIONING MODULE FOR RAPID/ CREEP FEED DRIVE INCL. MEMORY, (2 MB KB CODE, 2 MB DATA), INTERFACES: 1. IF MPI/DP 12 MBIT/S (X1), 2. MEMORY, (8 MB KB CODE, 8 MB DATA), INTERFACES: 1. IF MPI/DP 12 MBIT/S (X1), 2. 505 6ES7450-1AP01-0AE0 SIMATIC S7-400, FM 450-1 FUNCTION MODULE F. COUNT.FUNCT. WITH 2 CHANNELS INCL. MEASURING, COMMON MODE VOLTAGE APPR. 10 V; DIAGNOSIS, PROCESSALARMS INCL. ACCURACY 0.3 %; 4 CHANNELS IN GROUPS OF 4; DIAGNOSIS, SUBSTITUTE VALUE INCL. ACCURACY 0.3 %. 2 CHANNELS IN GROUPS OF 2, DIAGNOSIS, SUBSTITUTE VALUE INCL. 593 6ES7592-1AM00-0XB0 SIMATIC S7-1500, FRONTCONNECTOR SCREW-TYPE, 40PIN, FOR 35MM WIDE MODULES, INCL. 609 6ES7806-2CD02-0YG0 SIMATIC ODK 1500S V2.0 Single License f. 1 Install., E-SW, sw and docu. 670 6ES7923-5BA50-0EB0 Connecting cable unshielded f. SIMATIC S7-300/1500 0.14 mm2 bw. front conn.
671 6ES7923-5BB00-0EB0 Connecting cable unshielded f. SIMATIC S7-300/1500 0.14 mm2 bw. front conn.
672 6ES7923-5BB50-0EB0 Connecting cable unshielded for SIMATIC S7-300/1500 0.14 mm2 bw. front conn.
677 6ES7924-0BB20-0AA0 Terminal block TP2 8 channels f. 2A-digital output and 2×6 multiplicat. sort: screw terminal with LED, pack. unit = 1 piece 16pole IDC connect. f.
sort: PUSH-in terminal with LED, pack. unit = 1 piece 16pole IDC connect. f.
2-LANGUAGES (G,E); SUPPORT FOR OPERATING SYSTEM SEE HTTP://SUPPORT.AUTOMATION. 772 6GK1901-1GA00 INDUSTRIAL ETHERNET FASTCONNECT STRIPPING TOOL, FOR RAPID STRIPPING OF INDUST. PROFINET-IO DEVICE, NETWORK- MANAGEMENT, INTEGRATED REDUNDANCY MANAGER, INCL. 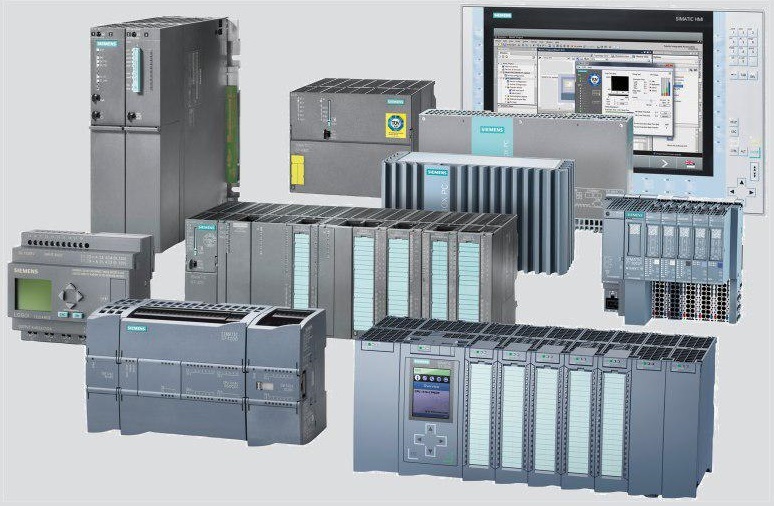 VIA ISO AND TCP/IP, PROFINET IO-CONTROLLER OR PROFINET IO-DEVICE, INTEGR. AND ET200M TO AS-INTERFACE CONFIGURABLE WITH STEP 7 ACCOR. AS-INTERFACE SPEC. CHEMICALLY AND MECHANICALLY HAZARDOUS ENVIRONMENT, SOLD BY THE METER MAX. 837 6XV1830-3EH10 SIMATIC NET, PB FC TRAILING CABLE, PROFIBUS TRAILING CABLE MAX. 842 6XV1870-2E SIMATIC NET, IE FC TP STANDARD CABLE 4X2, TP INSTALLATION CABLE, CAT6 F.
CONNECTION TO FC RJ45 MODULAR OUTLET, AWG22 SOLD BY THE METER, MAX. SPLITTABLE, W/O CONNECT., SOLD BY THE METER MIN. ORDER LENGTH: 20 M, MAX. NON AUTOMATIC . WEIGHING APPLICATIONS. USABLE FOR S7-300 AND ET200M.